The "usual references" have no information on these machines. A descendant of the person responsible for them has come forward. Separately, an owner of the machine sent pictures while asking for information. The only thing we currently have on the name is as a label on records. The decal on two machines indicate that the machine was made in Montreal, Quebec, Canada. The hardware indicates they were made WWI to circa 1926. Email from Robert Renaud, 2017. "Here is the information that I have that maybe of some help. 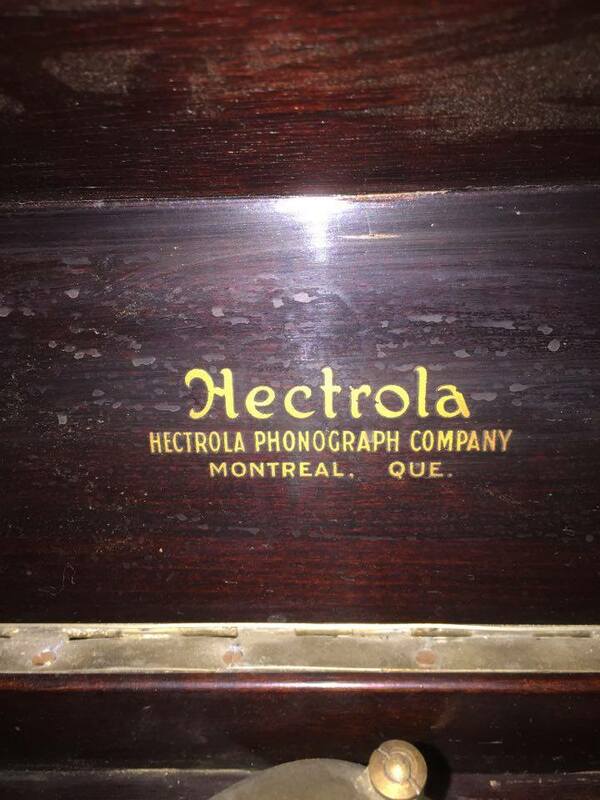 To my knowledge, the Hectrola phonograph co. Montreal was owned by my grandfather, Hector S. Paradis. He was born in the Montreal area in 1891 and he lived his entire life in the Westmount area. He was listed in some directories as an agent. 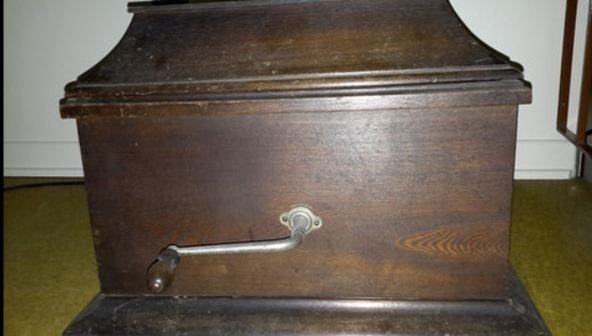 We came across the name Hectrola from a photograph someone sent us. 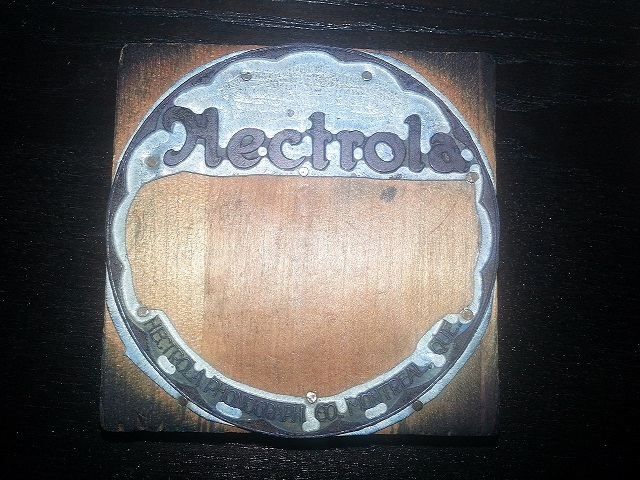 They are not the best images of the product and do not show the name Hectrola. But the printing stamp my brother has, was given to him by my grandmother as he was named after my grandfather. I know my grandfather was involved in other businesses. One we know of was a handy store, which was called Essex handy store, on Essex and Dorchester, which has since been demolished many years ago. " 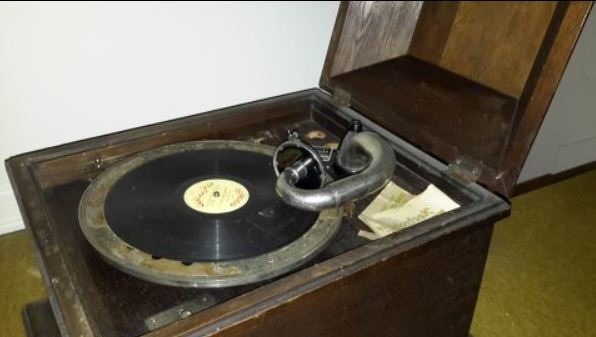 According to an article by Steven C. Barr for the Canadian Antique Phonograph Society, "Hectrola" records were pressed for a time by the Compo Co. of Montreal Canada, started by Hebert Berliner, son of Emile Berliner who invented the gramophone. 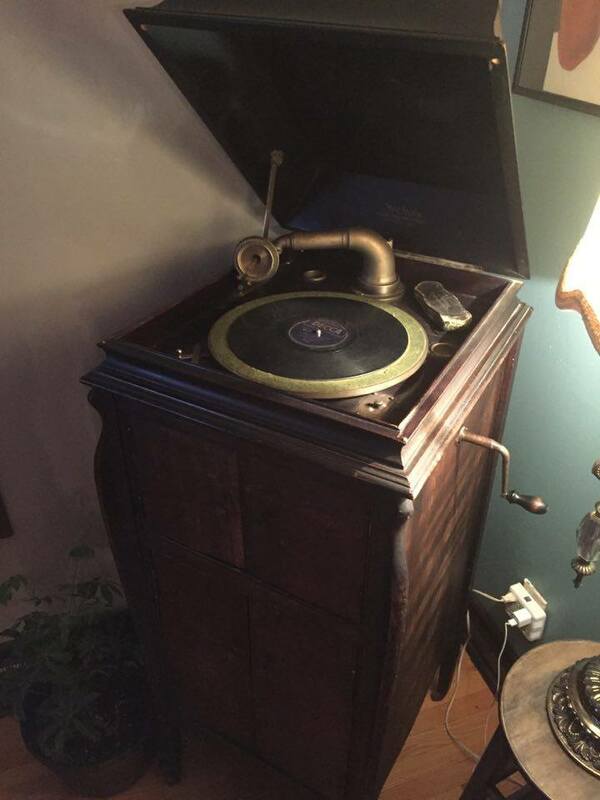 "A number of short-lived client labels were pressed, usually for phonograph firms, such as Hectrola, Hydrola, Operaphone and the like, using various numbers from all series"